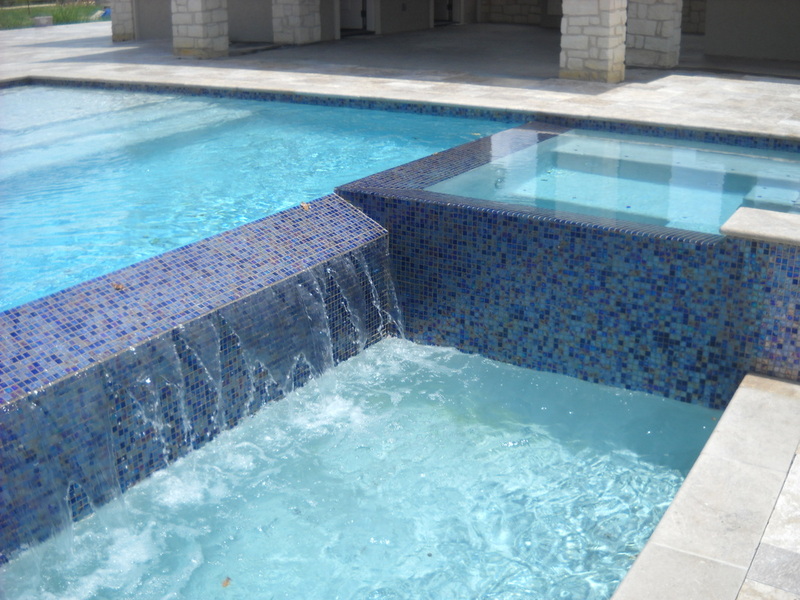 Cabo Pools and Spas is a premier pool builder in the Brazos Valley area. We are proud of our reputation for providing quality construction, fantastic design and honest service. Take some time to browse our new website and let us know how we can help you build the pool or spa of your dreams. Steve exceeded our expectations in his professionalism and creative ideas. We were referred to Steve by friends and after seeing the Cabo Pools and Spas website, we were excited to meet him. Steve exceeded our expectations in his professionalism and creative ideas. His designs and eye for details were impressive. Steve took time to explain each phase and was always onsite to ensure the highest quality of construction as well as answer any questions. The entire process was smooth and fun to watch. We are very happy with our pool and spa and recommend Cabo Pools and Spas as a company that truly stands out from others! Cabo Pools and Spas provides the ultimate blend of elegance and design with value and quality workmanship for a superior product over any other builder. From the very first meeting, Steve Bailey, President of Cabo, strikes you as a thoughtful partner in your pool building experience. He spends the time asking you what you want, not dictating you what you should get. He ensures that you understand your options and the trade-offs and factors that are unique to your wishes and your location. He educates, in terms of concepts, equipment, styling and representative cost. The conversations with Steve are like those with a trusted friend, rather than just another reseller trying to get your money. Steve understands that this is one of the biggest purchases you may ever make and his approach and information sharing allows potential clients to feel at ease, get educated, and make informed decisions based on the confidence of their interactions. Cabo emphasizes quality and elegance over volume construction. When a proposal is made and the design is refined, Steve is just as present during construction as he was in the stages leading up to breaking ground. Even though Steve utilizes the best crews in the business, he's there during each phase of construction, attending to the details and making sure that each and every aspect of the pool shines with the quality Cabo represents. Steve is never more than a phone call, text, or email away and is a presence from conception to completion. Even after construction is complete, Steve continues to be a resource for the client, continuing to educate, answer questions, overseeing the pool through the first 90 days and providing the client with the resources to learn and mange their pool for years to come. Steve and Cabo desire happy clients with exceptional quality pools and equipment. We couldn't be happier with the design, the elegance, the quality, and ultimately, the resulting relaxation and comfort that Steve and Cabo have introduced to our yard and our lives. "Steve Bailey strikes you as a thoughtful partner..."
"The conversations with Steve are like those with a trusted friend..."
When a proposal is made and the design is refined, Steve is just as present during construction as he was in the stages leading up to breaking ground. "Building a pool ... takes vision to capture the clients wishes and concepts ..."
Building a pool is a creative and emotional experience for all parties involved. It takes vision to capture the clients wishes and concepts and translate that into a set of plans and specifications that makes their project unique. This also requires the builder to offer materials and finishes to meet their budget. Jill and I would like to thank you for making our pool and spa special. We are continually complimented on the pool, deck and pool house.